Where are you UK 'Arkers getting your supply of MU figures? I would set up a "wanted" page with an idea of how much you're looking to spend, and maybe some Arkers from other areas can help you out. That sounds like a great idea. Most of us will do anything to help out fellow Arkers. I'm in Cardiff, the Forbidden Planet here seems to be pretty good for comic packs, but missed out a good few regular waves before finally getting the Psylocke wave in so is anything but reliable - I bought X-23 on eBay. The Disney store got lots of the Doctor Strange wave in but seems reluctant to get anything newer in. I don't go to the supermarkets very often, but looking at TRU and the Entertainer, they're not restocking and I reckon it's because they're waiting for all the movie stuff (Spider-Man/Avengers). In answer to your question, I actually want most of the figures in the next few waves so I'm just going to get a job lot online somewhere. Thanks for the replies Lads, glad its not a Scotland only problem then.Well, not glad, but you get the point lol. Where's the cheapest to get them online for the new waves then? Getting them in London isn't easy either. Only the Forbidden Planet and one other little comic shop gets them, supermarkets don't seem to get them any more, and TRU and Entertainer only seemed to get one wave around here. I tend to go to Star Action Figures to order mine online. They don't get the comic packs often though, but the actual waves they always get. Orders over £50 get free shipping within the UK. Probably a stupid question, but did the Disney store get any Variant Stranges in? I'm in Bedford and we've got a shop called Close Encounters. They've had last summers comic packs sat in there for months, although they've got a Sentinel and I got the GOTG there not long ago. I've also seen that they have the Future Foundation but I'm not overly fussed on collecting that. I tend to go down to London to have a look in Forbidden Planet. Last Monday when I went in I saw a ton of comic packs and a lot of single carded figures of fairly recent waves. I was looking for Adam Warlock and Thanos CP though and they didn't have it. But not far from there is Orbital Comics and they've had the latest wave EVERY TIME I've been in there. Someone mentions it on the forums here, I go there a week or so later and they've got the latest waves in which is cool! Wish I had the money to go there more often because my collection would be a lot bigger!!! I got Thanos and Warlock so I was happy. I saw the Psylocke wave in there, minus Psylocke... I couldn't pluck up the courage to spend too much money on the figures. I tend to get them in small doses. Then I've done a couple of trades from the US on here, although I have to really want the figure to justify the shipping costs, although their prices are a lot lower so it works out nearly the same as travel expenses and finding and buying the figure... speaking of which, do any of you guys have a Silver Surfer for sale? I want the following figures: All of them. Thank you and goodnight. not to be confused w SM Lizard. Zictor I've got a surfer from the TRU 3 pack if you want it ? Im in Surrey and I get most of mine from ebay. Got a few from forbidden planet in london but MU are very expensive for that they are. I mean a NECA gears of war figure is only a few quid more and they have an awful lot more work go into making and producing them. I wish MU were prices about £6 rather than £8-10, especially for us customizers who need the fodder LOL. I'm pretty sure they didn't though now I've got everything I want from that wave I don't really look too carefully. Found Psylocke at Forbidden Planet today though! Thats really strange,my local Tesco had SHEDLOADS of Skaar,Scarlet Spider,Dr Strange,Spiderman 2099,Cyclops,Thor etc,the only figures missing (typically!! 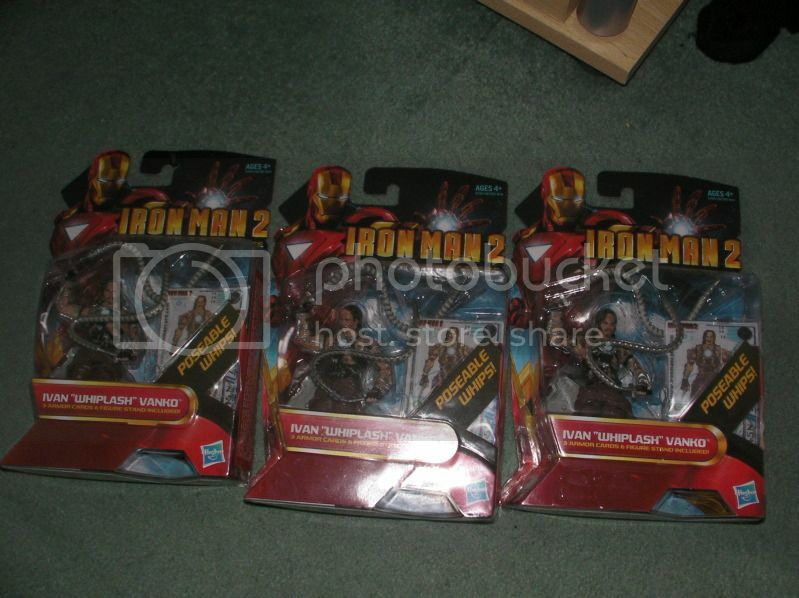 were Commander Rodgers,Cable,and Gladiator) a couple months back,there were four cases on top of the racks,but the same selections in each one,and iv seen A.I.M soldiers,Juggernaut,even a couple of Archangels,at my local Entertainers the peg warmers seem to be Fans choice Havok,and Kitty Pryde,those F**kers are EVERYWHERE!!! Pretty much all my collection is from Star, Kapow Toys and a few solid eBay sellers. I check a few shops. We've got a wicked Toymaster in Exeter that get small waves of figures. I got a grey hulk for a fiver! But that stuff is few and far between in our part of south-west england so I just go online. Which Archangel and Havok? Are they the variants or reg? Regular im afraid sir.....if they had been variants you guys would have been the first to know,as i know how badly people want em!! Where are you guys pre-ordering the next few waves from? Not sure yet, if Forbidden Planet get them in a decent amount of time then them, if BBTS get them in stock when I'm about to ship my POL then them, otherwise, probably eBay! If there's a new wave most of the time Orbital Comics will have them pretty quick! It's not far from Forbidden Planet. My preference is to always get them in brick and mortar stores, to get the best possible paint if nothing else, but the London Forbidden Planet always seems to take 3 months or more to get Universe stuff in. Even though it's supposed to be one of their 'Megastores'. I asked if they were getting the Psylocke wave in anytime soon, and they had no record of it in their systems at all yet, so it'll probably be late March-April if they get them. More than likely I'll end up going to eBay or Star. Yeah, brick and mortar is my preference as well - even at a comic shop it's usually cheaper. Yes, it's within a 10 minute walking distance of Forbidden Planet, just before Leicester Square. I accidentally walked past it. They had the Psylocke wave when I went in there a few weeks ago. That's more than a 10 minute walk for a Glasgow lad lol. Kapow and OrderSixtySix have been gems as of late, and if i can snag a good deal+shipping on ebay then I'll be prepared to throwdown on some figs.